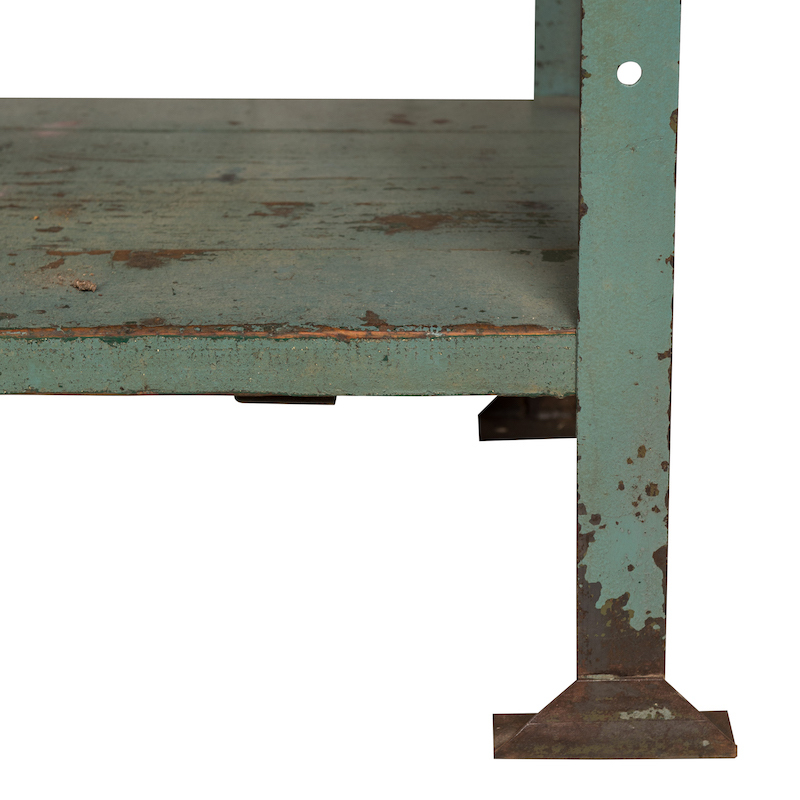 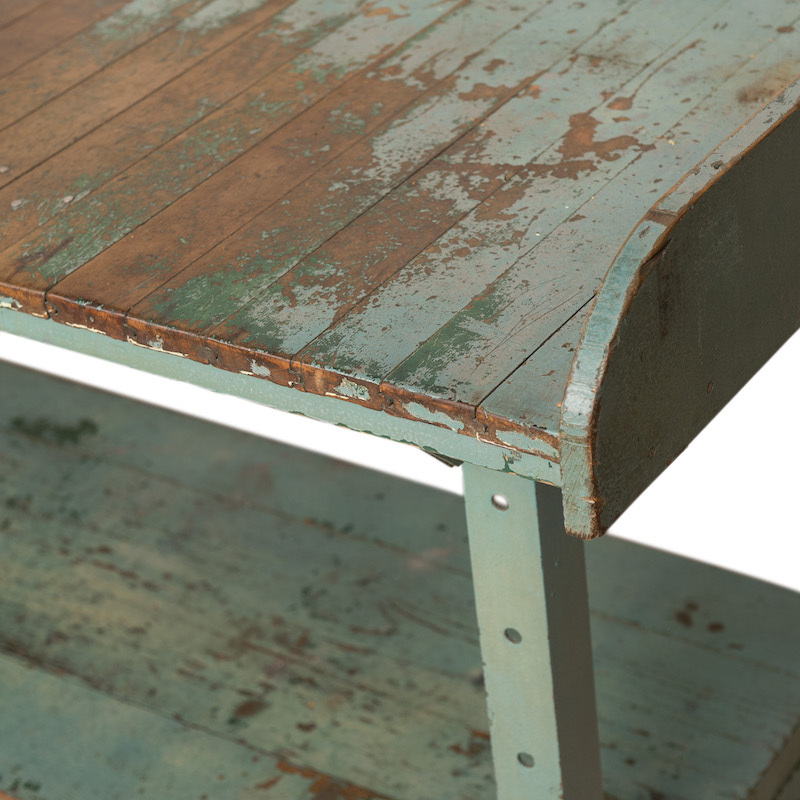 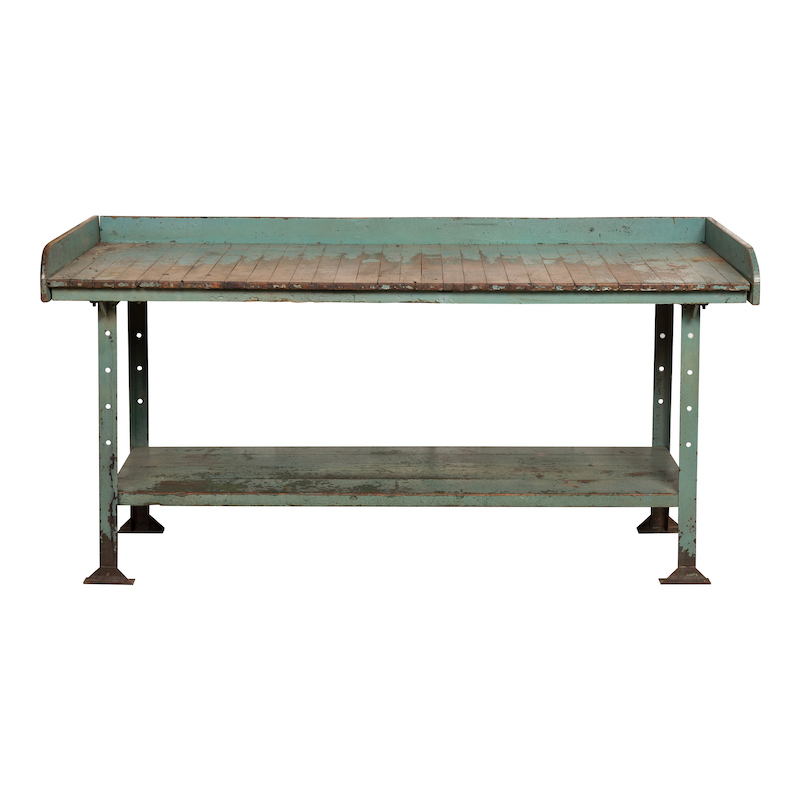 Industrial blue table with hints of green chippy paint. 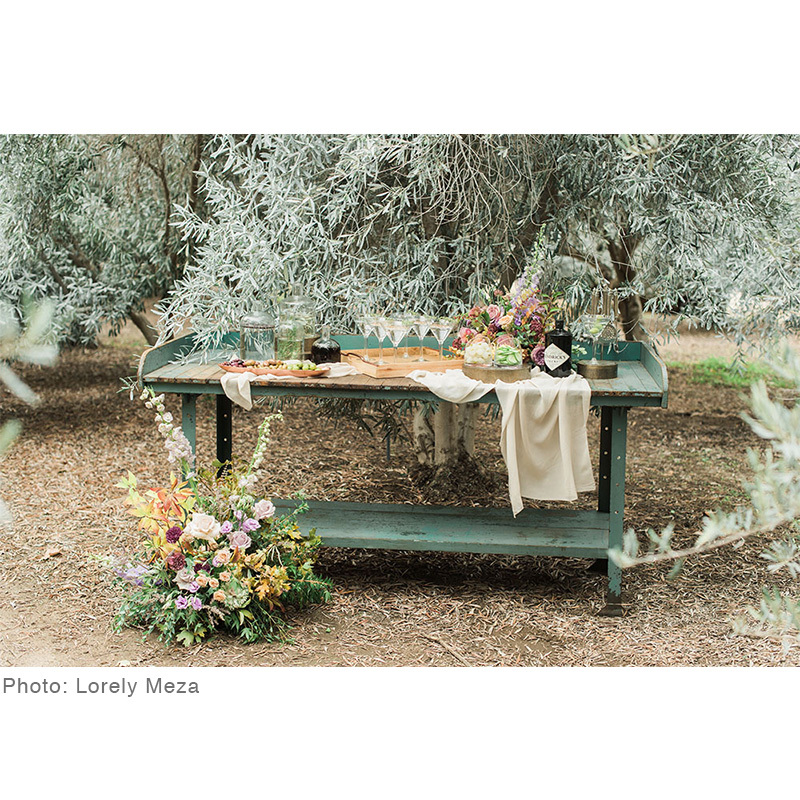 Features metal legs and wood slat top. 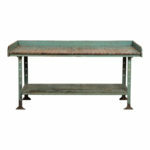 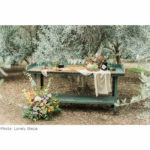 Great as a display or buffet table.